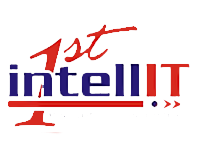 1ST INTELLIT SOLUTIONS LIMITED also known as INTELLIT is specialized in the delivery of world-class ICT services to its growing customer base, both local and international. INTELLIT is experienced in delivering excellent services that meets the need of our valued customers that cut across different sectors. We are a leading Microsoft Partner in Nigeria with Multiple Competencies across various disciplines. Our partnership with major global OEMs positions us to give customers timely world-class solutions that are tailored towards their needs in very cost effective ways. INTELLIT is also a leader in delivery of quality Learning Services that include Training and Certifications. Training comprises various IT and Soft Skills disciplines delivered through a team of certified consultant-trainers that possess hands-on experience in the technology they deliver. INTELLIT has a team of experienced, energetic, focused and enthusiastic professionals that contributes greatly to the company’s achievement through their dedication and hard work, which translates to customer satisfaction. Looking for a certified training provider?